The general state of Argenpark implies some fairly significant budgetary constraints. The place was crowded with people for our visit, but the majority were standing around watching the various rides, most of which were sitting idle. We got the definite impression that this park doesn't see all that many foreign tourists (or indeed any from outside the city of Luján). Super 8 (#1723) is the largest ride in the park by quite a margin. The layout and sensation is something like a SDC Galaxi, but the layout is different, with a long section of straight and level track running from one side to the other. The braking at the end of the ride is extremely harsh, but this is the only black mark on what is otherwise a fairly decent ride. 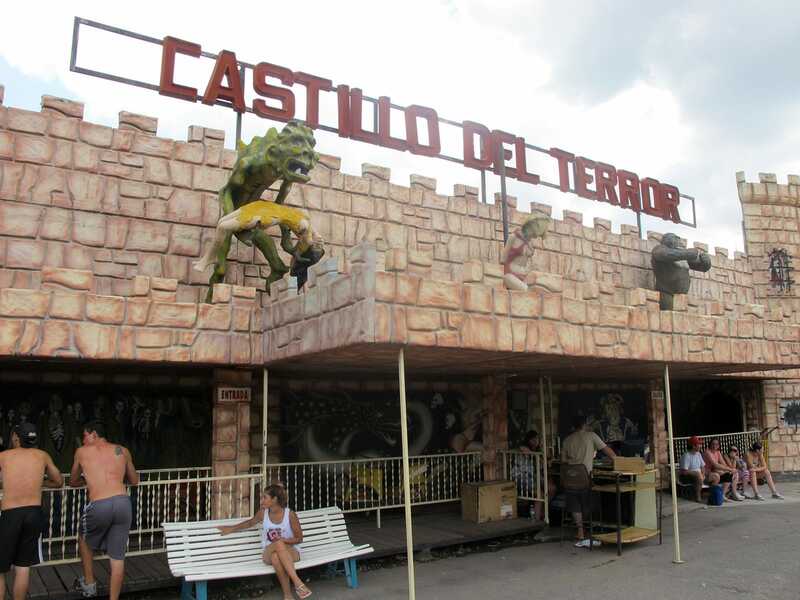 We also tried the Castillo del Terror, an unremarkable ride that could easily be skipped by future visitors. Parque Luján is two hundred and fifty metres away from Argenpark on the far side of a road bridge. While this park was also a little rough around the edges it was in substantially better shape than its neighbour. The biggest ride is an antiquated wild mouse named Super Tornado (#1724), an extremely involving ride that throws passengers around a lot. It's great fun to try once, but is probably a bit too aggressive for repeat riding.